Art Blast! : JUNE 2011 - Gustave Klimt-"The Tree Of Life". 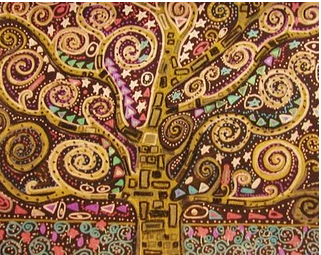 JUNE 2011 - Gustave Klimt-"The Tree Of Life". In this month project we will discuss the life of the great Austrian artist Gustav Klimt and the movement he so well depicted, Art Nouveau. 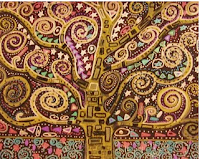 Student will create an elegant drawing of a tree, in the ornamental, decorative and luxurious style of Klimt. The final product will be a beautiful 16" x 20" masterpiece created using different media.